How can we help you? Schedule a free 30-minute call. A recipe is set of instructions for preparing a particular dish - something that is likely to lead to a particular outcome and includes a list of required ingredients. At Crest, I’ve developed a recipe - a model for business that can be repeated over and over again providing predictable, profitable, results. 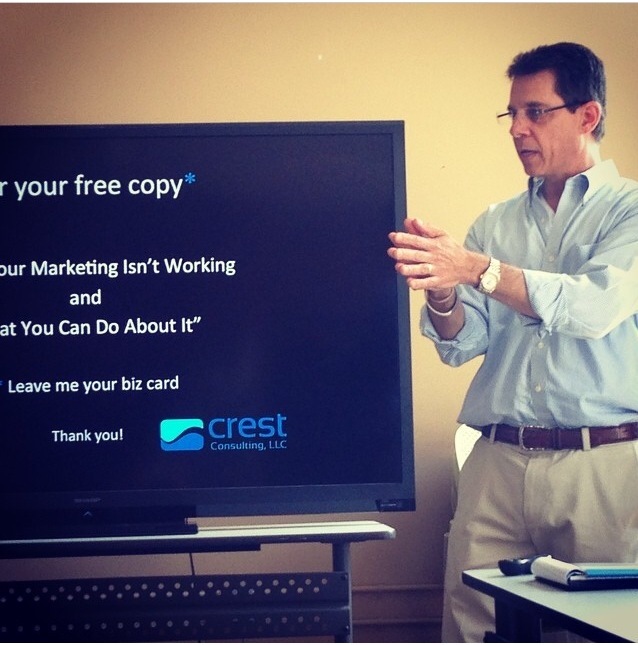 The Crest Recipe is a specific set of instructions, which when carried out, results in a higher quality pipeline of prospects, a leadership role in your industry, and an increase in profitable sales. In today’s economy, people do business with resources they like, trust, and respect. The Crest Recipe will show you how to become more likeable, build trust, earn respect, and become a preferred resource. My experience has resulted in millions of dollars of additional revenue for companies I have worked for and together we can accomplish the same for you.